CLR has not been able to get a hold of this lighter for our standard hands on review. That said, it finally needed to be brought to the readers of CLR in some form or another. This is more of "hey, that is a bada$$ lighter!" hands off review. If you are new to lighters S.T. 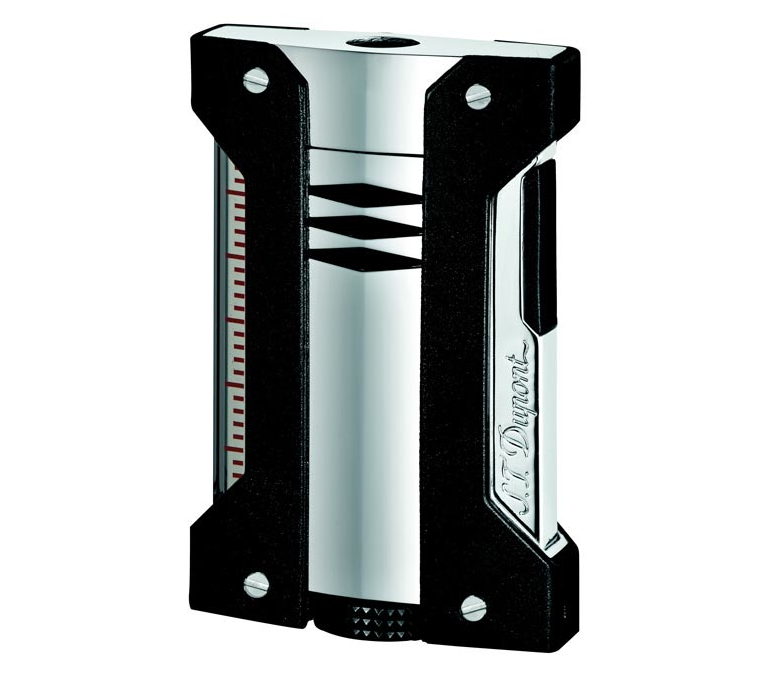 Dupont is one of the few truly high end cigar lighter brands. Keeping that in mind, here is the Defi Extreme and it is a stunner. This single torch lighter will set you back $300 big ones at list price. What do you get for your money? First, you get the name of S.T. Dupont. Next you get a frame that features precision injected metal. The Defi Extreme is then further protected by a matte black jacket. Undeniably, modern and sleek, with ergonomics to match. It has a diamond head pattern on the trigger and large fuel adjustment knob for a better tactile feel. There is also a fuel gauge window for easy viewing. A squeeze ignition fires up the single blue torch. S.T. Dupont made the the lighter to work in extreme temperatures of -10 ºC (14 ºF) and +45 ºC (113ºF). Defi Extreme will even work in extreme altitudes of more than 3500m (11,482 feet)! 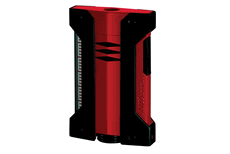 This lighter was designed for the adventurer in mind or those who just want a cool lighter. The price tag on this bad boy is no joke, especially, for a single torch lighter. Knowing it is a S.T. Dupont, you are not buying this lighter for rational purposes. Good news, the lighter can be found with a decent discount to make it more palatable. "Pros - aesthetics, quality, it's a S.T. Dupont"
It's a S.T. Dupont? How is that relevant when it's made in China? True that almost all lighters are made in China but I am talking about S.T. Dupont specifically. I think they should all be made in France, especially when you consider the price. For what it's worth, I've owned many jet lighters and the only ones that work consistently are the two Dupont MaxiJets. One was made in China, the other was from the last batches before the fire at the French facility. Both light up every single time. The only difference between the two, other than the side window on the Chinese one, is that there is a subtle difference in the click.